In the main menu, hover your cursor over "Add" and select "Authority records". 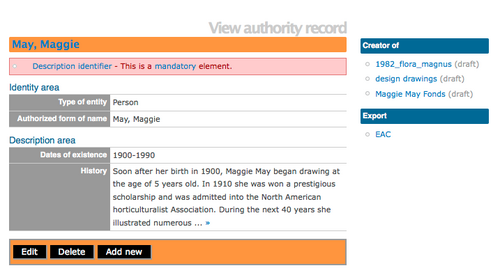 Alternatively, navigate to an authority record view page and click the "Add new" button in the button block. ICA-AtoM takes you to a blank edit page for data entry. 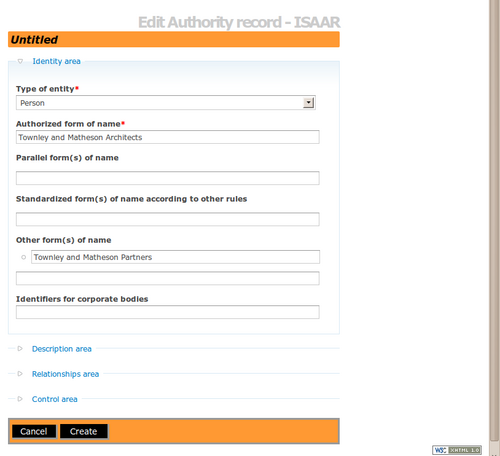 In the ISAAR authority record edit template there is a "Descriptive Area" that holds a number of data entry fields. The "History" field contains information in a narrative form about the main events of the person, organization or corporate entity. You can quit the process at any time by clicking the "cancel" button in the button block; no new record will be added. Click the create button in the button block to save the new record. 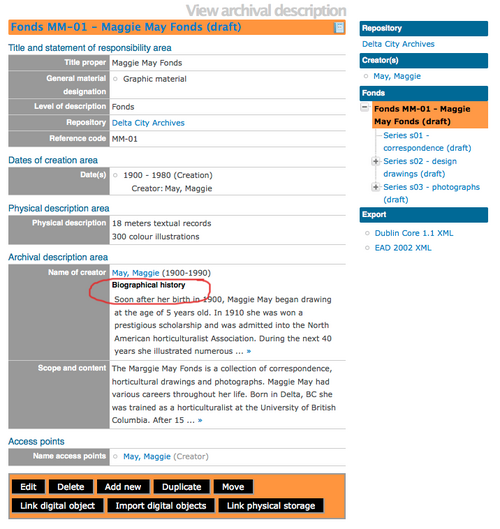 Once the record is saved, you can view the information entered. 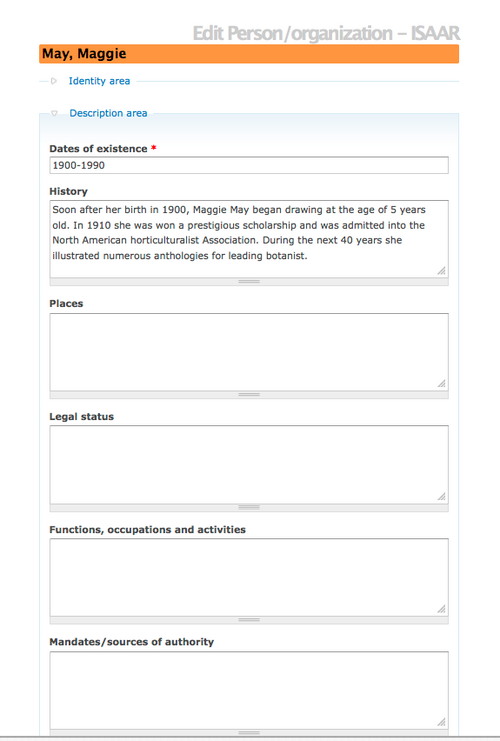 Note: The related Archival Description now includes the Biographical History (taken from the authority record "history" field). In an archival description edit page, add a new event. In the Actor name field, type in a new name. When you save the archival description, ICA-AtoM creates a new authority record for the name. Type a new name into a Name access point field. When you save the archival description record, ICA-AtoM creates a new authority record for the name. Click the Add new button in the button block of an authority record view page. This will open a blank edit page for data entry. This page was last modified on 26 April 2012, at 19:12.